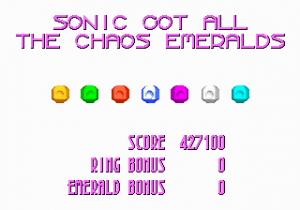 In Sonic Adventure 2, Sonic and Shadow had the ability to use the Chaos Emeralds to perform "Chaos Control" and alter time and space to teleport or freeze time. 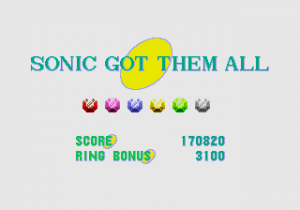 Shadow collected the Emeralds for Dr. Eggman to power the Eclipse Cannon aboard the ARK. When all seven were inserted, the Biolizard took over the station. It became FinalHazard, and then Sonic and Shadow had to team up and use the Chaos Emeralds to become Super Sonic and Super Shadow and defeat FinalHazard. Shadow eventually used a superpowered Chaos Control to return the ARK back into orbit. 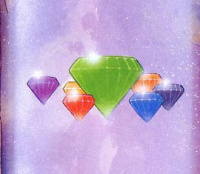 Purple Chaos Emerald — One of the Emeralds being held in the Security Hall which gets stolen by Rouge. 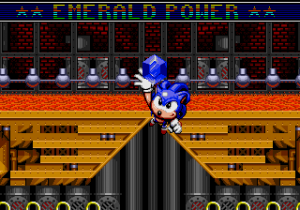 Blue Chaos Emerald — Stolen by Rouge at some point, then presented to Eggman on the ARK as a security of her bargain to help him. 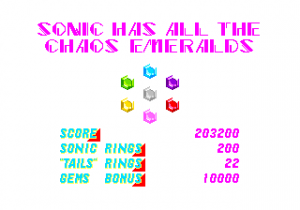 Grey Chaos Emerald — Owned by Eggman at the beginning of the game, which he uses to unlock Shadow. 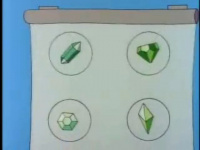 Green Chaos Emerald — Stolen by Shadow from the federal reserve bank shortly after his release. 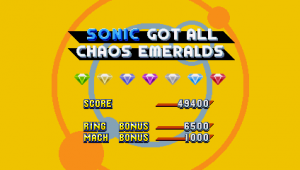 Yellow Chaos Emerald — Gifted to Tails after he saves Station Square in Sonic Adventure. 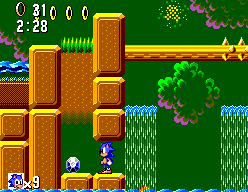 He makes a fake copy of the Emerald, and later he and Sonic try and dupe Eggman with it. 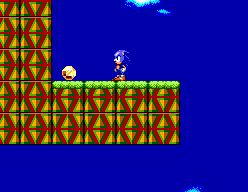 Eggman sees past the scheme and fights Tails for the real one, losing but stealing it afterward anyway to put into the Eclipse Cannon. 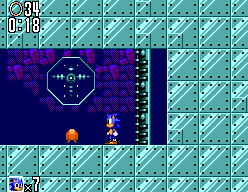 Cyan Chaos Emerald — One of the Emeralds being held in the Security Hall which gets stolen by Rouge. 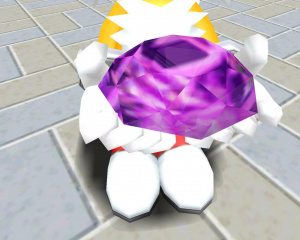 Red Chaos Emerald — One of the Emeralds being held in the Security Hall which gets stolen by Rouge. This page was last edited on 19 April 2019, at 23:15.